Built-in spill containment differentiate chemical storage buildings from other types of storage buildings. Every chemical storage building that houses liquid hazardous materials must have a liquid-tight containment sump built into its floor. There are two options for sumps. The first is a continuously-poured concrete curb construction integral to the concrete floor. The other is a continuously-welded steel plate for sump walls and floor. Why Is Chemical Spill Containment Necessary? 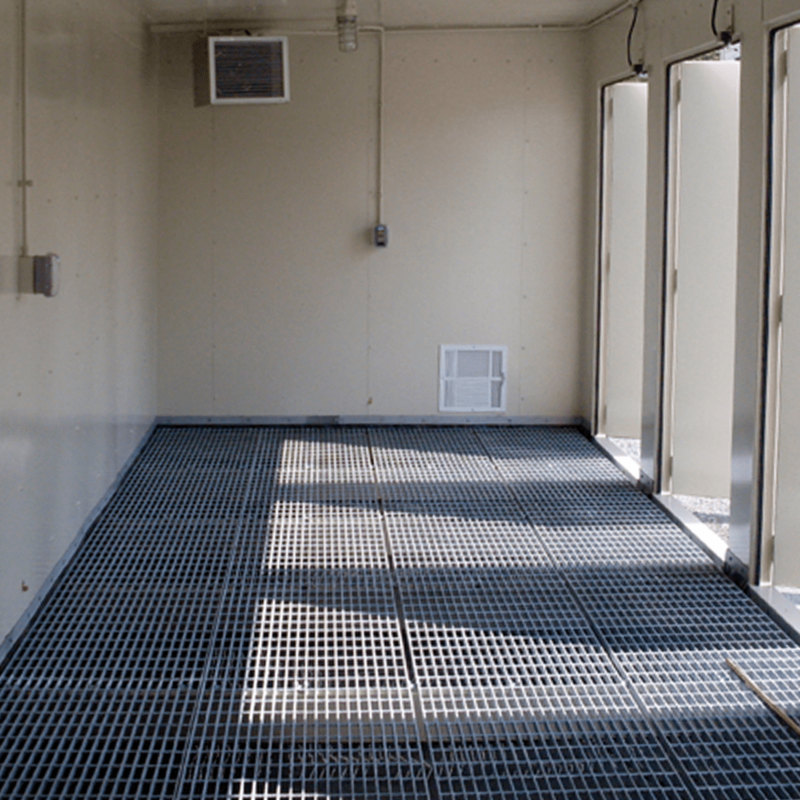 Sumps in chemical storage buildings prevent chemicals from escaping the building. Chemical spills contaminate the environment. Flammable chemicals may ignite. Fire suppression systems may douse a fire inside the chemical storage building. But, fires outside the building could cause serious damage and injury. How Big Must the Containment Sump Be? The OSHA standard for flammable liquids requires a 4-inch deep sump when a fire sprinkler system is present. But, not all chemical storage buildings contain flammable chemicals. EPA 40 CFR 264 regulates hazardous waste treatment, storage, and disposal. Section 175 covers containment. It specifies a containment sump must be large enough to contain 10 percent of all the containers in the building. NFPA 30 is a fire code covering the requirements for flammable and combustible liquids. This standard dedicates a chapter to factory-produced steel chemical hazardous buildings. Any storage containers placed on the floor of the sump will take up some spill containment space. Some chemical storage buildings have elevated floors. But, even the structure of the elevated floor takes up spill containment space. Any displacement affecting the containment sump volume must increase the sump height. Some sump floors slope to allow chemical spills to flow to a low point or channel for ease of cleaning. When calculating the sump capacity, always take the effect of the slope on the containment volume into account. Chemical storage buildings with water-based fire suppression systems must accommodate a 20- to 30-minute deluge of water in their sump. Many chemicals float on water and will overflow from the sump first as the water level rises. A sump as high as 20-inches may be required to prevent this. All U.S. Chemical Storage buildings provide built-in containment sumps. Standard designs for our chemical storage buildings have a 6-inch sump. A welded-steel 1-inch floor grating above the sump has a load rating of 250 lb. psf. However, different raised-floor options are available, including customized solutions for any load rating or chemical resistance. U.S. Chemical Storage has 30-years of experience in hazmat storage solutions for a variety of industries. All buildings provide secondary containment sumps for safe and secure chemical storage. Contact us today to request a quote.